The Big Over Easy [A Book for Ben] – my books. my life. 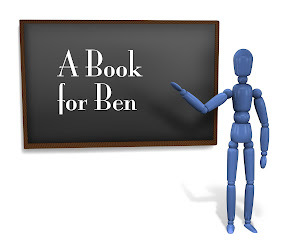 Where Ben picks a book, I read it, and then we tell you how it went. Being such a big fan of the Thursday Next series, I was anxious the check out the Nursery Crime books. 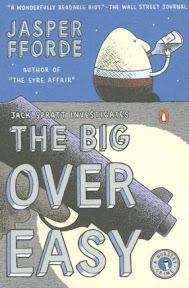 I read The Big Over Easy over my Thanksgiving break a few years ago and was pleased to find the same unique, zany, quirky, and enthralling story telling that I associate with Jasper Fforde. It was such a fun way to re-experience and re-imagine the classic Humpty Dumpty story. The way Michelle (and I) enjoyed Thursday’s adventures, I figured it was about time for her to get to know Jack Spratt a bit better. Oh dear. This book took me ages to finish. And its really not Jasper Fforde’s fault. This book did not live up to the Thursday Next series to me (or Shades of Grey for that matter), but it still has all of the Ffordian aspects – zigzagging plot, cheeky wordplay, and oddball characters – that I’ve grown to love in his writing. It’s just that my (very distracted) brain wasn’t really up to the task. Once I finally sat down with it and got into the story, I enjoyed it. It just took effort I didn’t always have. I think this goes in the “it’s not you, it’s me” category. I love Fforde, and have read all but the last in the Thursday Next series. That being said, I have had this book on my shelves for quite some time, and haven’t yet read it. I need to get to it, but just haven’t had the time. I think the concept and ideas are interesting, so it should be a good read for me. Great and honest review today! I’ve got one of his books on the iPod, but have never actually read him. I know, I’m missing out. I can relate though to a distracted brain. It doesn’t take much with me.